The medals are from someone completely unrelated to me, but show closeup of what I believe is the medal on the chest of the man in the last photo – George Gray. George Gray was my grandfather’s uncle. 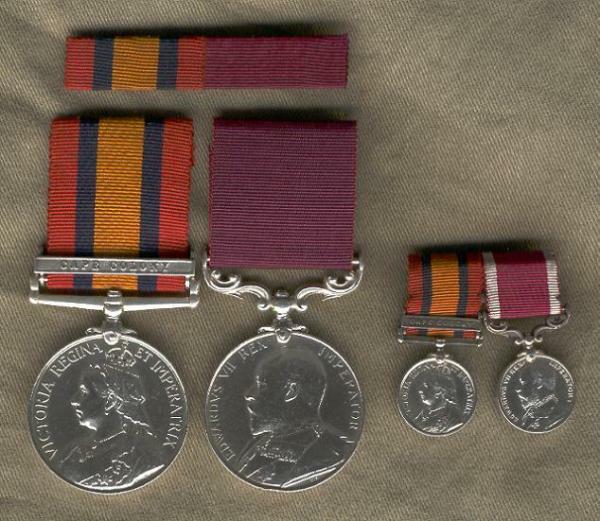 The medal is an Army Long Service and Good Conduct medal, and appears to have King Edward VII on it, which would mean it was awarded in the period of 1902 – 1910 for a period of 18 years service. Apparently George Gray was a bandmaster. 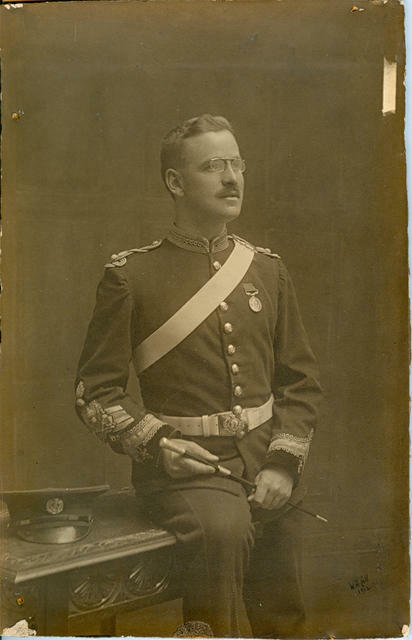 His name was Charles Archibald Thomas Gordon Besley, and he was born on 9 December 1867 at Wallaroo. He was known as Arch. Charles Archibald was his brother… I actually have copies of Arch’s wedding and death certificates, as distinctly separate from Brian Charles Besley jnr. The SA Biographical Index has them all, including Arch and his brother (“Chas”, or “my” Brian Charles). Not sure why he has no birth records though.